Food processing facilities often use a wide variety of equipment. They could have pumps, mixers, valving equipment and vacuum pumps on the process side; robotic package loaders on the finishing side; as well as carton machines, automatic case packers and conveyor systems. In these environments, maintenance technicians are required to do multiple jobs, from checking out the robotics and PLC programming, to fixing leading pumps and troubleshooting a vacuum pump or automatic valve, among other applications and equipment. This is a job that demands a range of test equipment - including ScopeMeters, current clamps, thermal imagers and most importantly, an industrial logging multimeter. As a maintenance technician at a processing plant in Canada, Shane Horn's tool box includes a 199C Color ScopeMeter® test tool with the AC/DC current clamp and a Ti20 Thermal Imager, as well as a 289 True RMS Industrial Logging Multimeter with TrendCapture for trending data. He is part of a team of eight technicians (two per shift) whose job is to maintain all the equipment. 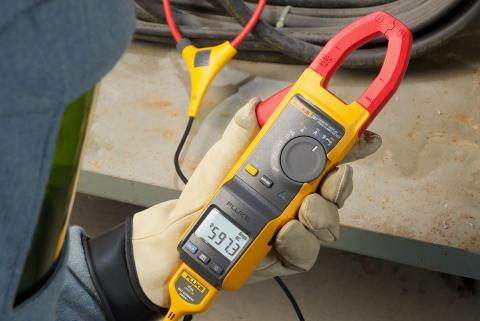 Horn says he has learned that one of the most valuable items in the toolbox these days is the digital multimeter (DMM). "I used to have my clamp-on for current, but it didn't have that recording function that I needed. With my busy schedule, it's hard to stand around and test a circuit for hours on end. The hardest things to troubleshoot are intermittent problems. However, now I can hook the multimeter to the circuit I'm troubleshooting and let it run while I'm working somewhere else. If something happens I can stop the record function, graph the data right on my DMM screen, and figure it out on the spot." The DMM's logging functions proved especially useful when one of the package filling machines began to give trouble. By way of explanation, the machine's main air supply is controlled by two solenoid valves that are powered by the machine's E-stop circuit. 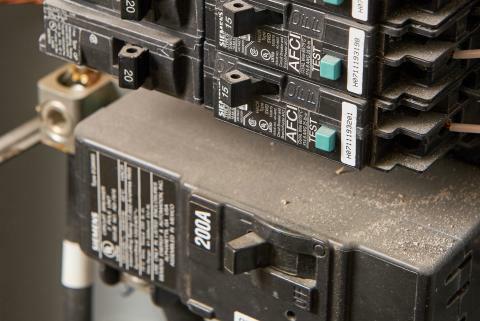 If the E-stop button is pushed, the machine goes to a zero-energy state: the electric power shuts down and the solenoid valves de-energize (one isolates the incoming air and the other dumps all residual air pressure). While the filler was running, the main air would suddenly release and shut off the machine, then re-energize in a split second. The maintenance team soon found that finding the cause of the problem wasn't going to be that easy. As Horn explains, "We traced the circuit and monitored the E-stop relays and all associated contactors. Coming up with nothing obvious, we started tightening all screw terminals and replacing contactors and even replaced the actual solenoids. The problem still existed." Horn then decided to try the trending function on the DMM. He put the meter in the enclosure and started monitoring the contactor action, but found nothing. The next step was to go further into the circuit and monitor the 24 V DC power feeding the line side of the contact. The next time the machine went down, he says, "I came right over, stopped my record function and went back to find out what had happened." The screen display indicated a "spike"-like dip in the 24 V from one of the dc power supplies. With some investigation, Horn discovered that the supply's cooling fan had gone bad. When it overheated, its output would drop, shutting off the air to the machine. On top of this issue, a new CPU problem had turned up. "Our operator interface screen at power up would take a long time to become active," he explains. "So I connected my 289 to the 5 V dc power supply and powered up the system. 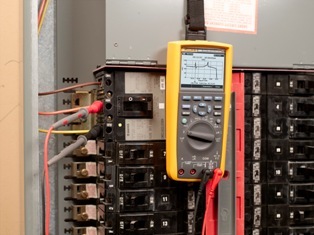 The meter captured the power supply struggling to reach 5 V dc. The first two to three minutes the power supply then instantly jumped up to 5 V dc and the HMI is then active." In both cases, the fix was simply a matter of changing out the power supply. Once that was done, everything went back to full operation. More importantly, having the right tools saved considerable time and effort on everyone's part, Horn says. "Having the 289 was like having another electrician working on shift with me. I was able to perform other tasks while the 289 was monitoring the circuit - which meant I was able to be in two places at the same time." While technicians can't be all things to all people when on the job at a processing plant, tools with appropriate features - including recording and logging - can prove to be an invaluable resource. 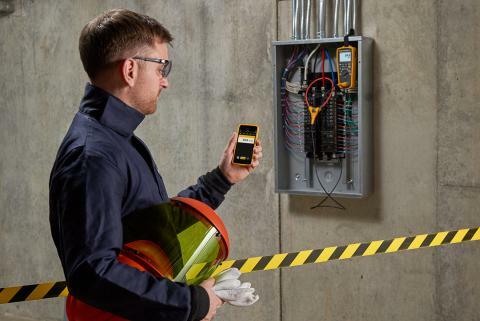 It's especially important to ensure that the devices offer advanced features that are easy to use and include built-in safety features (a big plus when working graveyard shifts). 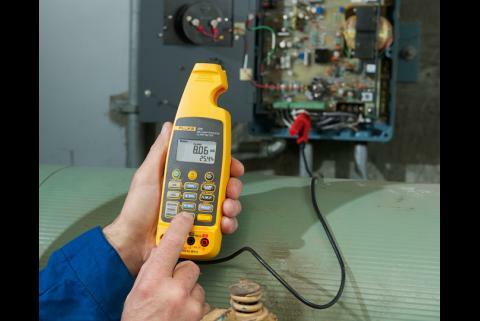 With the right multimeter, technicians can do more troubleshooting in less time, which ultimately translates into longer uptimes and higher production rates.